Profil-I Ltd. is an official representative of the Kömmerling brand, Germany – Europe’s No. 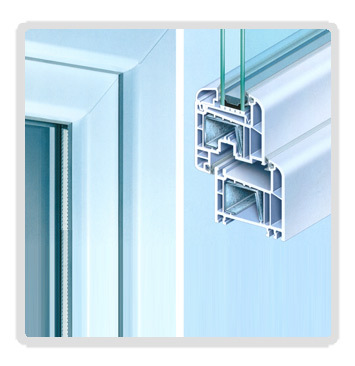 1 door and window PVC profiles manufacturer. Polyvinylchloride (PVC) is a synthetic material which, in practice, is a crude oil derivative product. Today, it is one of the best studied materials. The new stabilizers – calcium and zinc, which are used by Kömmerling instead of lead, contribute not only to the environmental protection, but make window profiles ever more weather-resistant and with more durable luster and life as well. 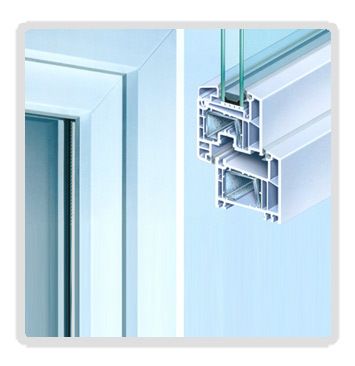 Eurofutur Classic system - with classical forms of sash and frame. The above systems fit perfectly in both new, modern residential buildings and the renovation of old residential buildings. 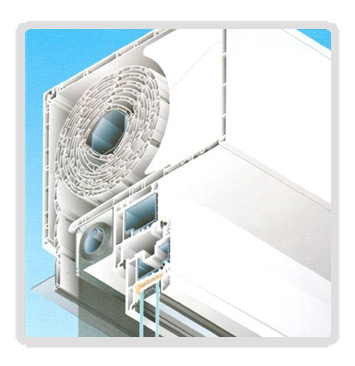 They feature a stable cross section of profiles, exceptional statics (thickness of internal walls) and up to a 6-chamber structure with thermal transmittance of Uf = 1.3 W/m2.K by integration of steel reinforcement. ROLAPLUS roller shutters are especially designed for the Kömmerling systems. They are suitable for both old and new construction. They provide security, warmth and coziness; and thanks to the noise-absorption material they are manufactured of, they provide additional sound insulation. ROLAPLUS roller shutters are combined with a rolling up mosquito screen. For a finished look and easy maintenance of the under window area, Profil-I offers inner under window PVC boards in four main colors – White, Marble, Gold Oak and Mahogany.